Pills! Pills! Pills! We don’t like them, but sometimes, we need them and it is necessary for daily functioning. According to the National Council on Patient Information and Education(NCPIE), seniors account for 34% of prescribed medications and 30% of over the counter medications. 2 out of 5 seniors in the category take multiple medications at the same time. It is important to monitor your medications to prevent negative side effects, misusage and to save money. · Know why you’re being prescribed a particular medication:. According to Duke University, two thirds of prescribed medications are either not needed or unnecessarily unsafe. It is important to verify the necessity of each medication you take. Sometimes a medication you’re taking may help for a symptom you have. · Keep written or typed lists of medications you have taken in the past or are currently taking: According to the NCPIE, most seniors have more than one physician at any given time. Keeping personal records may make it easier for medical professionals to understand what has worked, what’s working and what will work. · Verify dosage: According to the NCPIE, one out of three senior patients don’t speak to their doctor within the last year. It is important to talk to your doctor about the dosage you’re taking. Sometimes, an increase or decrease is necessary based on weight and age alone. · Verify side effects: I’m sure you’ve seen commercials with long lists of side effects. Still, it is necessary to understand what may happen if you take a particular medication. Also, make sure you take note of any odd changes you experience with your medication. It helps you and helps your doctor. 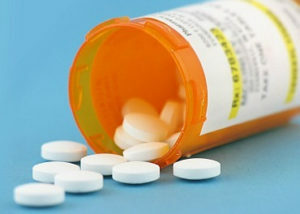 · Medication compliance: According to the NCPIE, 40% of seniors are non-compliant with their medications. Remembering to take medications isn’t easy. Sometimes we forget to take them and sometimes we forget we have already taken them. Medication compliance is necessary for full health and recovery. You can buy a pill box from your local store, hire a nursing professional to help, or ask your family for help. Ask for large print labels to prevent taking the wrong medication and try to get your refills one week ahead of time. Also, it is important not to stop taking medications until your Doctor says it’s okay to do so, even if you feel better. · Discuss safe storage methods: Some medications need to be stored in the refrigerator and some need to be stored at room temperature. Proper storage is important to maintain efficacy of the medication you are taking. If you have questions about medication management, please talk to Jill or Meredith from Hickory Glen, Active Senior Living at (217) 793-0431 – they can set you up with the appropriate resources.